Now I understand why Cirque du Soleil's shows are very expensive. It was a breath-taking non-stop circus experience watching the dress rehearsal of Cirque du Soleil's Varekai last night at the Grand Chapiteau (across Quirino Grandstand) presented by Manila Hotel and BDO with special guests and selected members of the media. 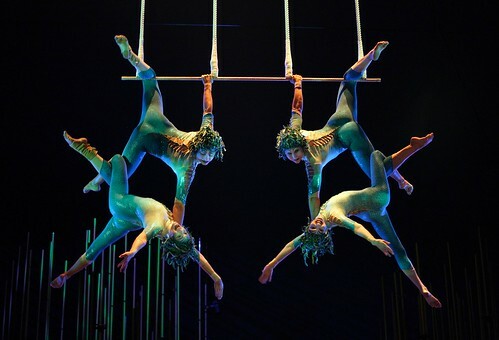 For the first time in the Philippines, Cirque du Soleil on regular tour of their magical and heart-stopping circus acts in more than 600 cities across the globe, presented Varekai in Manila starting regular nightly performances tonight until July 24, 2011. Written and directed by Dominic Champagne and performed by the world-renowned Cirque du Soleil of Canada, Varekai features 13 thrilling acts, carried with deliberate skill and precision yet filled with artistry never before seen in the Philippines. 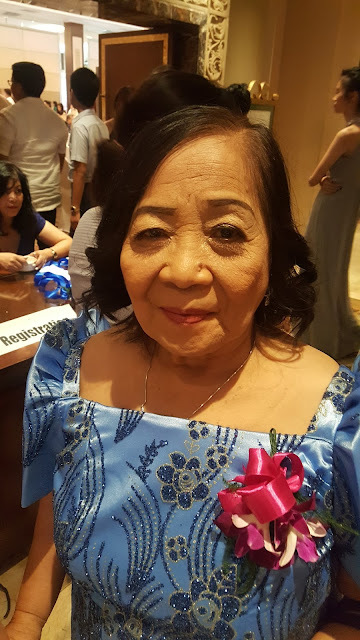 It was my first time seeing such elaborate details of colorful costumes with performers that will make you want to hope you'd see the same skill and precision among Filipino acts. The show was two hours with a 25-minute intermission. I wasn't aware that an hour already passed after the first series of amazing acts. 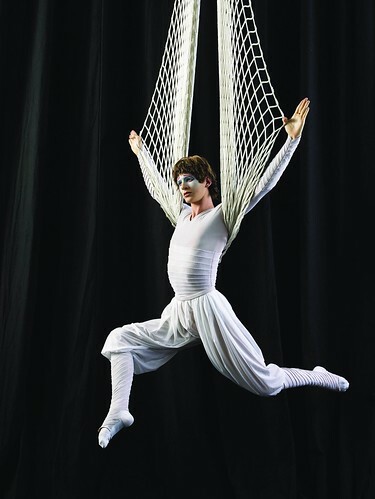 It was difficult to breathe after this Flight of Icarus act jumped up and down the white net without harness. It was truly heart-stopping and the screams filled with excitement made me reflect on circus like never before. Cirque du Soleil's stunning choreography with such enchanting music mesmerized me. A medley of aerial acts, comedy acts and devil acts like Icarian games and Russian swings, it was hard to miss especially the girl stretching her limits of human flexibility. 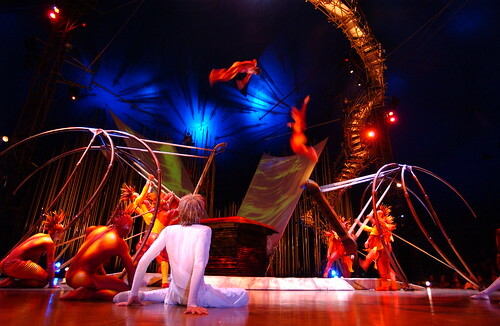 Varekai's magic begins when one steps into the majestic blue-and-yellow Grand Chapiteau (Big Top), the central piece of Cirque du Soleil's mobile village. Standing more than 66 feet high and 167 feet in diameter, the Grand Chapiteau seats more than 2,600 people. The canvas for the tent and its 11 tunnels weighs more than 5,227 kilograms. It is entirely climate-controlled and self-powered with generators. I never felt the heavy rains outside while the show was on and it really felt magical as their performers entice the audience for participation. 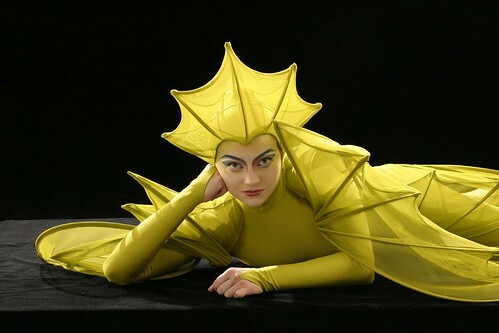 It was said that Varekai first conquered people's imagination when it premiered in Montreal in 2002. Since then, the show has visited more than 60 cities in more than 15 different countries around the world. 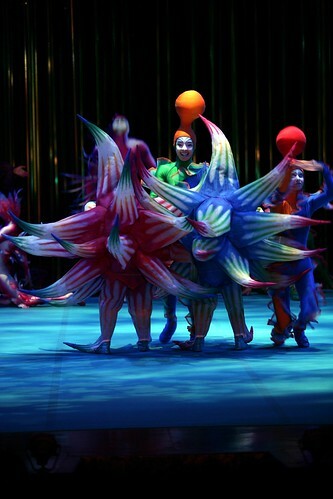 Over 6 million people around the world have seen Varekai which my mom prayed to watch in Las Vegas. 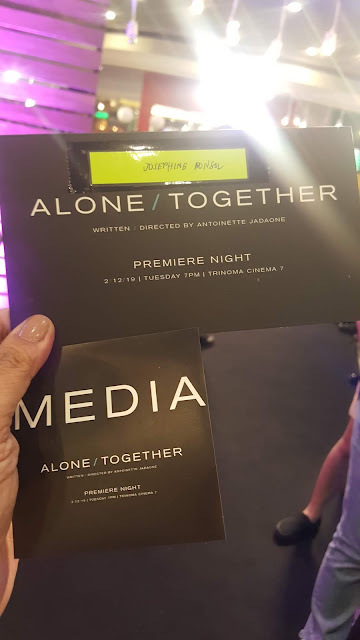 What more interesting is that its cast and crew of 130 people represents 25 nationalities; Canada, USA, Russia, Australia, Spain, China, Italy, Ukraine, UK, Brazil, Germany, Georgia, Azerbaijan, Belarus, France, Kazakhstan, Netherlands, Argentina, Belgium, Hungary, Mexico, New Zealand, Serbia, Sweden and South Africa.